A simple but healthy recipe for those lazy days when you don't feel like doing much but want to eat healthy. This can also be served as a healthy snack. 1) Heat olive oil in a pan. 2) Add chopped garlic. 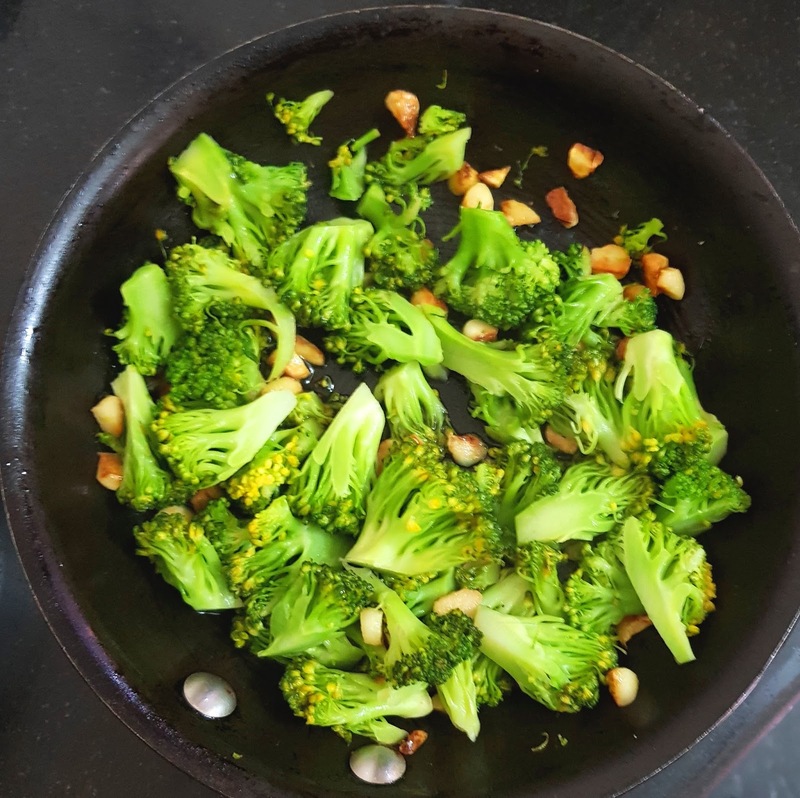 When the garlic turns brownish, add broccoli and cook for 5 minutes. 3) Serve hot as a snack or with steamed rice.